It’s a threat we’ve heard a lot over the last year and a half: eventually, they say, game consoles as we know them today will cease to exist. All games will be streaming video piped out of “The Cloud.” And an increasing number of hardware manufacturers have dipped their toe in to the pool: Sony, with “Playstation Now” have tested the waters, Microsoft have given streaming demonstrations, and the Nintendo Switch, at least in Japan, is rife with current-gen games like Assassin’s Creed Odyssey and Resident Evil VII running on a Nintendo Switch exclusively through video streaming. This, we’re told, is the inescapable future. Stadia, it would seem, is primarily just a controller, but it’s a special one. The Stadia controller will connect to any Chromecast-enabled device (desktop PC, laptop, phone, tablet) and enable a playable video stream of live gameplay footage with minimal latency. What this means is that no data is stored on any device; you don’t install any files, your saves aren’t local to your HDD, the entire game is stored and run on a Google data center, which could be miles and miles away from the device you’re playing on. By working some technological magic, Google’s aim is to make the experience as seamless as possible so that you’d never notice the difference or the distance. Several people, including Eurogamer’s Digital Foundry, pegs the lag at around 100-170ms, or roughly six frames on a 60fps display. What this means is a noticeable delay between pushing the button and having the game respond to your input. Google has gone to great lengths to minimize this delay, and is even promising further improvements to delay before Stadia officially launches later this year. Some of that has to do with the controller itself. Most game consoles have to talk to the controller, which can add latency while sending the signal to and from the controller and back to the console. With Stadia, the controller kind of is the console, more or less. The controller has wireless internet connectivity built in to it, talking directly to Google’s data centers instead of having to go through the Chromecast first. This not only makes it easy to jump between screens with the same game instance, but it also helps reduce latency. That being said, if you’ve ever played a fighting game like Dragon Ball FighterZ online, which lists how many frames of delay your match is operating on, anything more than three frames of delay starts getting in to the realm of unplayable. For Stadia to have double that amount (or more!) of delay is a considerable hurdle indeed. Stadia will also support traditional controllers you may already own, like Xbox, Switch, and Playstation, but it’s unknown if those will introduce additional latency due to them lacking the special wifi tech of the official Stadia controller. One of the benefits, of course, is that Stadia (or the data centers it connects to) will run games far better than even the most top-of-the-line systems available. Google touted nearly infinite resources thanks to networked computing, essentially meaning that a game running through Stadia will potentially have multiple systems worth of processing power fueling it. What this boils down to is that Stadia will always, always be far and away more powerful than any home computer or video game console. This means your games will always run smoother and load faster on Stadia compared to any other platform. In theory, anyway. The current Google Stadia demo runs at a very normal 1080p and 30fps, whereas Google is promising the coveted 4K 60fps by launch and eventually even 8K 60fps further in to the future. And, of course, it’s merely running currently existing games, which barely require it to stretch its processing muscle. Google has established its own game development subsidiary, “Stadia Games and Entertainment” to help fill in the gaps and show what the platform is truly capable of. Its helmed by Jade Raymond, who you may remember as one of the minds that helped launch the very first Assassin’s Creed for Ubisoft back in 2007. More than a hundred developers are prepared to support Stadia, including Sega. Special support for Unity and Unreal Engine 4 is being added to Stadia as well, allowing games built for those engines to work extra well in the Stadia platform. It also means no hacking, and no cheating. Hackers typically change local game data to give them advantages over other players. Since Stadia has no local game data, there’s nothing to hack — but the downside is that there’s also no modding, either. If you’ve enjoyed a fan-made mod (like, say, “The Unleashed Project” for Sonic Generations) then nothing like that will ever be possible on Google Stadia. That wouldn’t stop “officially sanctioned” mods from appearing on the service, sort of like what Bethesda now does with Fallout 4 on the Xbox One, but your options will still be massively limited. Games will only ever be presented exactly as the developer intended, for better or worse. And then there’s the data requirements. Since announcing, it’s been revealed that streaming a game on Stadia will eat up roughly 20 gigabytes of data per hour — a sizable amount of bandwidth. For the sake of comparison, most modern, big-budget game installs hover somewhere between 30-90gb these days, making Stadia’s 20gb-per-hour look decadent by comparison. Your internet service provider probably thinks it’s pretty decadent as well, given many ISPs have limits on how much data can be downloaded per month. For users of Comcast, that limit is 1 terabyte — or 1024 gigabytes — every month. In Stadia terms, that equals out to a limit of around 96 minutes of play per-day (across 30 days), assuming the only thing you use your connection for is playing Stadia games. If you spend a lot of time on Netflix, Youtube, or Twitch, the amount of data available for you to stream Stadia could be considerably less. And Stadia is built to intergrate with Youtube, too. If you’re watching someone stream a game, it would be possible for you to start playing right where the streamer left off using Stadia. You could share links with your friends that jump them right in to your own save files. And at the touch of a button, you could share clips of your gameplay to Youtube at 4K resolutions, even if you yourself aren’t playing in 4K. It all sounds like a dream. Or a nightmare, depending on your viewpoint. A world where you do not own any of your games, where you cannot touch your games, where games could vanish from the service and you’d never, ever be able to play them ever again. Does it frustrate you when your favorite TV show or movie gets taken off Netflix? Get ready for that to also happen with Stadia. The future is coming, whether you want it or not. 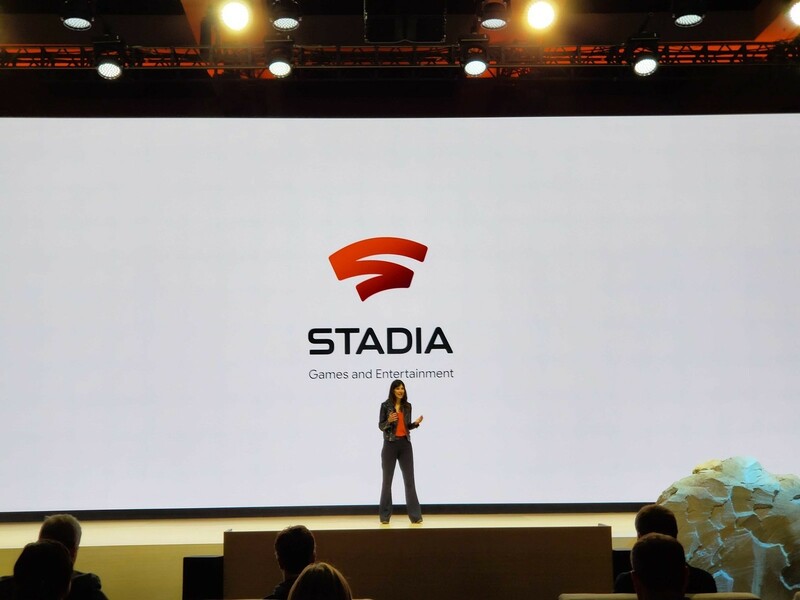 Stadia launches later this year.